Scooping the Best Straightener at the 2018 Hair Awards is no mean feat, and we’re intrigued to see that the Electric Head Jog Titanium VIBE straightener from Hair Tools did just that. So what makes it so special? Unlike many traditional straighteners, the Head Jog uses Titanium-coated plates – a lightweight, lustrous mental that offers high temperature stability. Which means, that unlike Ceramic, Titanium can heat up much faster while distributing heat evenly through the surface and can help to reduce the build-up of bacteria in the hair, too. Winner! 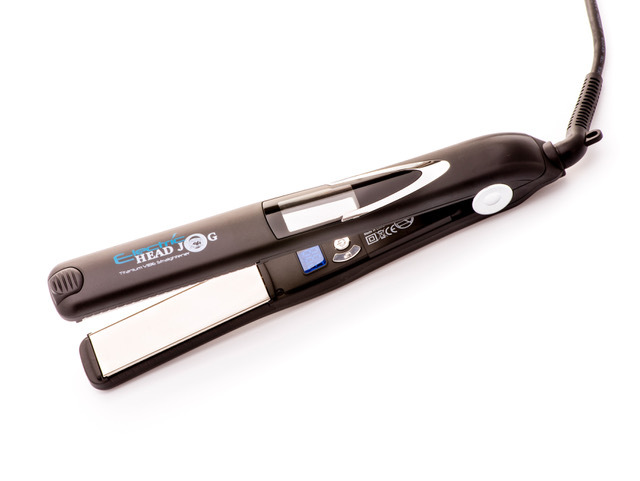 The Electric Head Jog straightener also features unique vibrating plates to eliminate the possibility of any pulling or snagging – thereby causing less damage. (Though you can turn off this function if you wish!) And the good news doesn’t end there; an Ionic charge preserves the natural moisture in the hair making it shinier, softer and healthier.